Martha is a Board Certified Adoption Attorney who practices exclusively in the area of adoptions, surrogacy, and reproductive law. She has practiced law for over thirty years, earning her Juris Doctor degree from the University of Florida College of Law in 1978. She has lectured on adoption and surrogacy law and is a member of the prestigious Academy of Adoption and Reproductive Attorneys and the Florida Adoption Council. Martha's practice embraces the full range of adoption practice, including adoption agency representation in private adoption placements within the State of Florida as well as Interstate Compact adoptions, representation of Hague-accredited agencies in intercountry adoption placements, representation of domestic and foreign adoptive parents in adoption finalizations, as well as adoptive parent representation in grandparent and relative adoptions, stepparent adoptions, adult adoptions, finalization of foreign adoptions and recognition of foreign adoptions. Martha also focuses on gestational surrogacy, traditional surrogacy, preplanned adoption, egg donation, sperm donation and preembryo donation matters, providing legal advice and representation in contract negotiations and in the legal process for establishment of parentage. 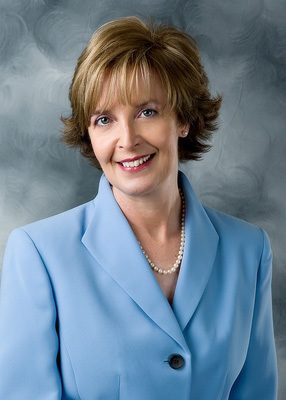 During her career, she has been active in The Florida Bar, the Hillsborough County Bar Association, and the Hillsborough Association for Women Lawyers (HAWL). She has served on the board of directors of the Tampa Lighthouse for the Blind, Bayshore Little League and HAWL, is a past President of HAWL, and has been active in numerous other civic, school, professional and charitable organizations. Martha has handled numerous pro bono adoption cases through her volunteer work with the Bay Area Volunteer Lawyers Program (BAVLP) and with the Florida Kinship Care Center at the University of South Florida, providing legal advice and representation to kinship caregivers seeking to adopt, and, in Spring 2009, was honored by the Thirteenth Judicial Circuit with its Pro Bono Program H.A.V.E. A HEART award in recognition of her exceptional pro bono service to the community.